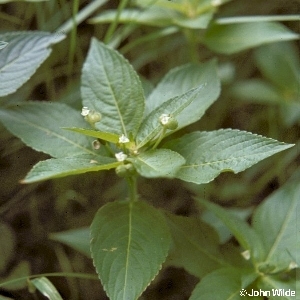 A creeping herbaceous perennial species with long oval leaves and unremarkable green flowers, male and female on separate plants. Generally regarded as not native to Northern Ireland, being much less common than in Great Britain, occurring mostly (but not always) in planted woodlands, and with no representation in the postglacial fossil record. All names: Mercurialis perennis L.